Over the past couple weeks, I have been working hard behind the scenes on Believe in a Budget. I decided to create a short list of blogging tips that I have learned and share all the changes I have been making! 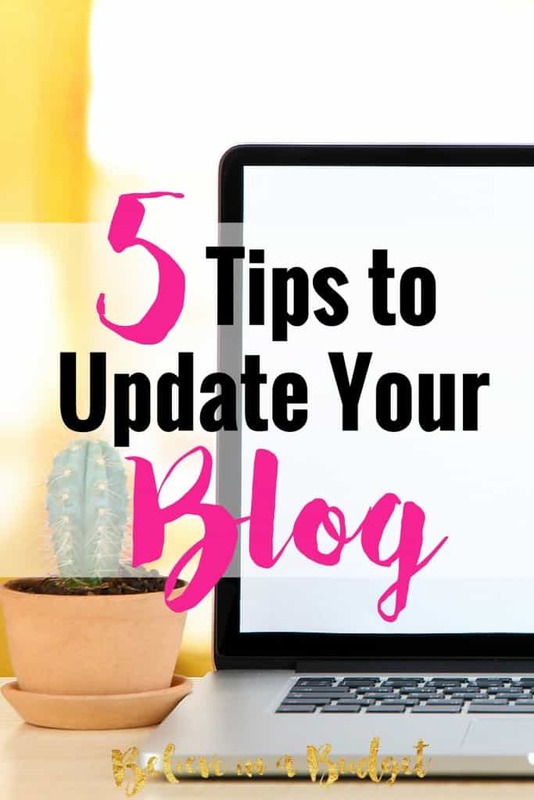 I'm sharing five blogging tips on how to update your blog's appearance. I just gave my blog a makeover and decided to make some upgrades. I am so excited with the results! A couple of months ago I went from a free, basic wordpress theme and upgraded to the Genesis Framework theme. I was thrilled with this decision, but stuck on what direction to take my blog. I only wanted to pay once for a child theme (at least for the near future) so I took my time, explored all the child themes I could find and finally made a decision. If none of this is making sense to you, download my free Ebook above which explains the difference between a Parent and Child theme! I selected the Delightful Pro theme by Restored 316 Designs. I'm still doing some tweaking, but I like the new design and layout. There are a few color palettes to choose from (I love the happy and bright colors!!) and the theme is flexible enough so it's not overly girly (even though I love girly!!) for visitors. I added an attractive, user-friendly signup from SumoMe. It only pops up after a visitor has spent some time on my site. 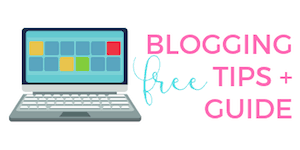 A reader has the chance to receive my freebie that I am giving away if they sign up for my newsletter. 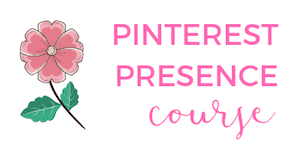 I love making a freebie for someone because it's usually based off of something I'm doing on my end, and then I can just share it with everyone! Next I streamlined my navigation menu. I am a minimalist and wanted my menu to be a little less crowded. I am thinking about adding a “Start Here” page, but don't want to add any more tabs. My sidebar is also much cleaner and less crowded. Since my blog is still in the beginning stages and I'm on a budget, I rely on myself to do 99% of the work. However, I am a big fan of working smarter, not harder. There are some areas of blogging I need help with so I use Fiverr. I recently outsourced 2 different tasks and had results within hours. I simply didn't have enough time to focus on these tasks. This saved me a lot of time for a minimal amount of money. This is one of the best blogging tips I have heard repeatedly when I listen to blog podcasts. This topic has been on my to-do list for a while. I am not that great (yet!) at learning the technical parts of blogging, such as site speed, so this was one area I was happy to pay someone on Fiverr to improve my website's speed. Faster speed is better for visitors! My source not only helped speed up my website, but also helped me clean up and delete unnecessary widgets and files. I really believe that my blog not only keeps me accountable for my actions, but should positively benefit others who visit. 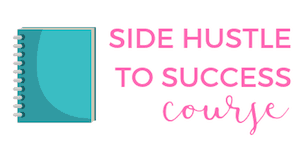 I'm working on a bunch of freebies that I can stick in my online library that readers can have access to. Have you made any changes to your website? Do you have any blogging tips? I’m new to your site but I love the way it looks. I’m in the process of changing some things on mine as well. I never would have thought to use Fiver to do some maintenance things on my blog. Love these ideas! Thanks you Tennille! I am really happy with it! Love the new site set up! It’s so clean! Thanks for the tips! My site was giving me fits. My web guy took one look and told me my theme was horrendously out of date. I was not pleased that I’d put things off so long. So I was forced to get a new theme. On the other hand, my site looks a lot cleaner and has fewer distractions in the sidebar. In the end it worked out, but I swear it took a year off my life. It’s so hard to keep updating, especially when the update isn’t a smooth transition! 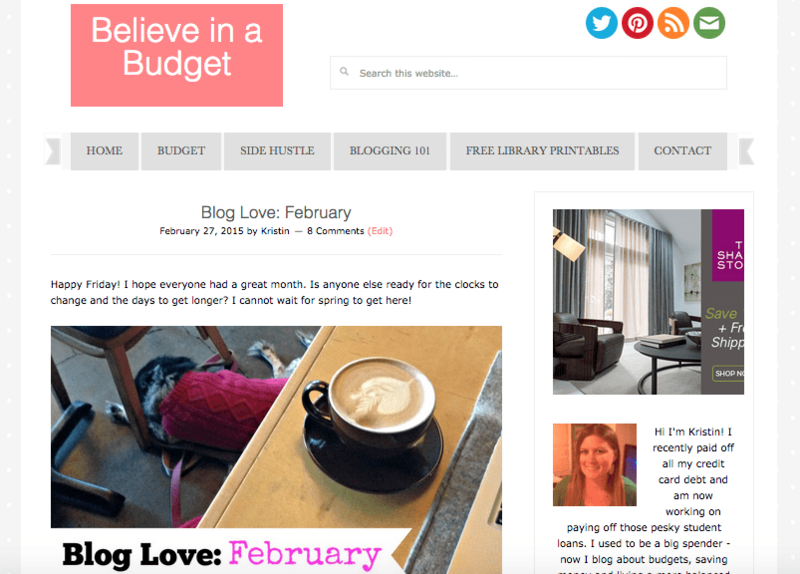 Your blog looks awesome!! I love the new layout! I recently changed my layout as well and I’m very happy with it. That’s awesome you paid $5 for someone to help with your site!! I’ll have to look into that, as my site tends to run a little slow too. I’m curious to see what you outsourced and how much you got accomplished with fiverr? I’d love to outsource some things too but like you on a very tight budget. I outsourced cleaning up my website ($5) after I upgraded to a child theme (not everything transferred smoothly) and speeding up my website. This included going through all my widgets and plugins. I had a TON mostly because when I started out, I pretty much downloaded anything and everything. Now that I’m where I want to be theme wise, my guy removed a lot of crap that was slowing down my site, including Jetpack, Google XML Sitemaps, and a couple others. The guy then sent me screenshots of my old speed scores vs my new ones. I paid $5 + a tip because he did a lot more than I was expecting! There are various plugins that will actually speed up your site and can make a huge difference. I ran a speed test of my own (which is outlines in the attached blog post) and there are several things you can easily do to improve your speed and SEO. Look at a plugin called w3 total cache (which will help leverage caching, minification of JS/CSS, and gzip compression). I would also recommend EWWW image optimizer as it will scan and losslessly compress uploaded and theme images. Take a look at GTMetrix and it will tell you exactly what is up. Im seeing 2.29MB page size, 171 requests, and a load time of 5.24 seconds. It is great that you are taking a leap into the technical side of blogging, it really is a fascinating area. It also helps out the business side!